Pakistan on Wednesday informed Iran that it had launched “active” efforts to locate 11 Iranian security personnel, including Revolutionary Guards intelligence officers, who were abducted near the countries’ shared border. 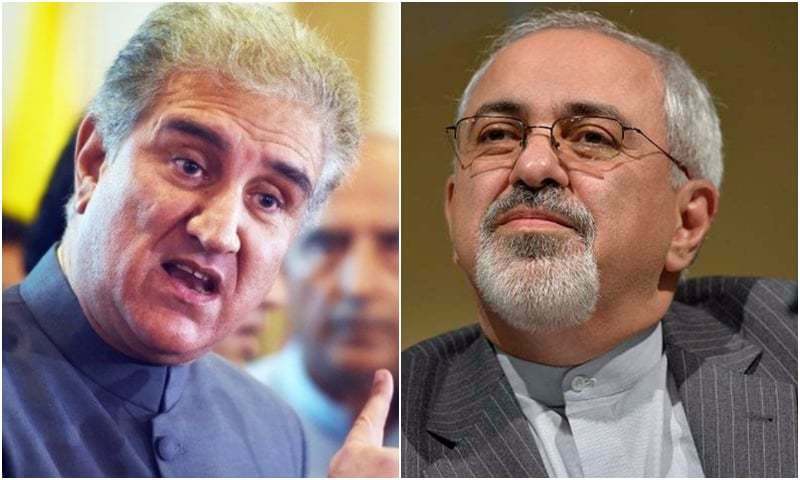 In a call, Foreign Minister Shah Mahmood Qureshi briefed his Iranian counterpart Javad Zarif “about the active efforts launched by the Pakistan law enforcement agencies to ascertain the whereabouts of the missing Iranian guards, in coordination with the Iranian military and intelligence counterparts”, a press release issued by the Foreign Office spokesman said. Qureshi blamed the kidnapping on “our common enemies unhappy with the existing close, friendly relations between Pakistan and Iran”, according to the statement. The two ministers noted in their conversation that the directors general (military operations) of Pakistan and Iran were in touch through a hotline to coordinate the search and rescue efforts, “including enhanced air surveillance and troops deployment in the border area where the incident took place”. Qureshi observed that the two countries have traditionally shared a “border of peace and friendship” which will continue in the same spirit, the statement said. The Iranian foreign minister underlined his country’s desire to “overcome all hurdles jointly with Pakistan in maintaining complete peace” along their border. The group kidnapped was involved in “a security operation” and included two members of the elite Revolutionary Guards intelligence unit and seven Basij militiamen as well as regular border guards, said the Young Journalists’ Club (YJC), an Iranian state-owned news website, in an article that was later deleted. Pakistan and Iran share an over 900km-long border, which is infested with criminal gangs, militants, and drug traffickers. Some of the groups have in the past carried out cross-border attacks killing Iranian border security forces. Therefore, border security has for long remained a major irritant in bilateral ties. The two neighbours have lately cooperated extensively for improving border security by undertaking several measures, including the deployment of additional troops.